ICD-10 is frustrating! Do we have a fix? The dust has settled. ICD-10 is here. Now what? ICD10 is finally here. And it is not welcome in healthcare circles. Healthcare organizations will have to grapple with thousands of new codes, high overheads and workflow disruptions. The real impact of the revised coding set will be felt in a few weeks from now. As it is still too early to analyse the effect ICD 10 is going to have on the reimbursement methods of insurers. Physicians across the country are spending close to an hour every day, to enter ICD 10 codes. But surely a coder can enter and scrub codes? They can’t. As most of them are busy making calls to insurers! Frantic calls to check whether claims rejected a few weeks back need to be resubmitted in the coding set. Or whether the CMS promise to accept claims that have ICD 10 codes which may not be highly specific but still belong to the “right family”, holds water. The phone wait times of insurers are also ridiculously long. One practice manager noted that her biller spent almost 4 hours on hold. That is almost half a day’s work lost. “I don’t know who is going to benefit out of ICD 10, certainly not me” rues Ellen Spandana the CFO of a pediatrics practice. Hiring trained ICD10 coders. “A lot of this trouble could have been resolved if only if we had trained coders to handle this job” says Jarryd, the practice manager of a group practice. And it is by far the biggest roadblock that healthcare organizations face. 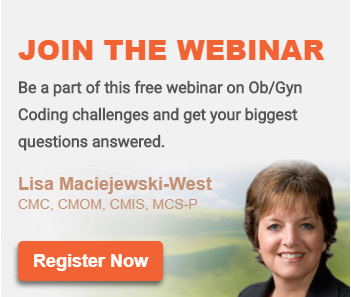 Post the roll out; there is a rush to hire certified coders who can handle the complexities and tripwires of ICD 10. But they are few and far between. And, yes, charge a bomb. According to a survey by AAPC medical coders had an 8.4% average increase in their salaries. Experienced coders demand high pay packages. This could be a further blow for healthcare organizations that are already reeling under the revenue challenges of the recent reforms.Most veteran coders are unwilling to learn an entirely new coding method and prefer to retire early. The ever increasing coder shortage is growing more acute and wreaking havoc on the bottom-line of medical practices. It is not all gloom and doom. Several ICD-9 to ICD-10 converter tools are making the job easier for medical practices. “At least some of the workload is lessened thanks to technology”, smiles Chris who manages a group practice in rural Arkansas. An increasing number of medical practices are turning to tools and apps to manage ICD-10 bottlenecks. “It serves as a strong stopgap solution for the time being, till we find a reliable offshore partner to outsource our coding services to” Chris adds. Want a tool to simplify and quicken your coding process? ThePracticeBridge Inc. has developed a smart and user friendly ICD 9 to ICD 10 conversion tool. Users can input ICD 9 codes they’ve used all along into the tool and get its corresponding ICD 10 match. To demo the tool click here.